Rider4Helmets Announces International Helmet Awareness Day 2017! After years of far-reaching global success, Riders4Helmets has announced that their much-anticipated International Helmet Awareness Day will take place over two days this year: Saturday, September 16, and Sunday, September 17.
International Helmet Awareness Day embodies the message of safety that Charles Owen shares 365 days a year. By uniting retailers and riders in an informative day of discounts and safety education, this weekend is an exciting opportunity to support and celebrate the innovations that keep riders safe in the saddle. As a trusted source of safety knowledge and a leader in developing the latest technologies alongside acclaimed international research efforts, Charles Owen is proud to participate as a manufacturer and support its many retailers around the world. Charles Owen encourages riders of all levels and disciplines to invest in high standards of safety and to be informed about the decisions that they make regarding protection in the event of an accident. 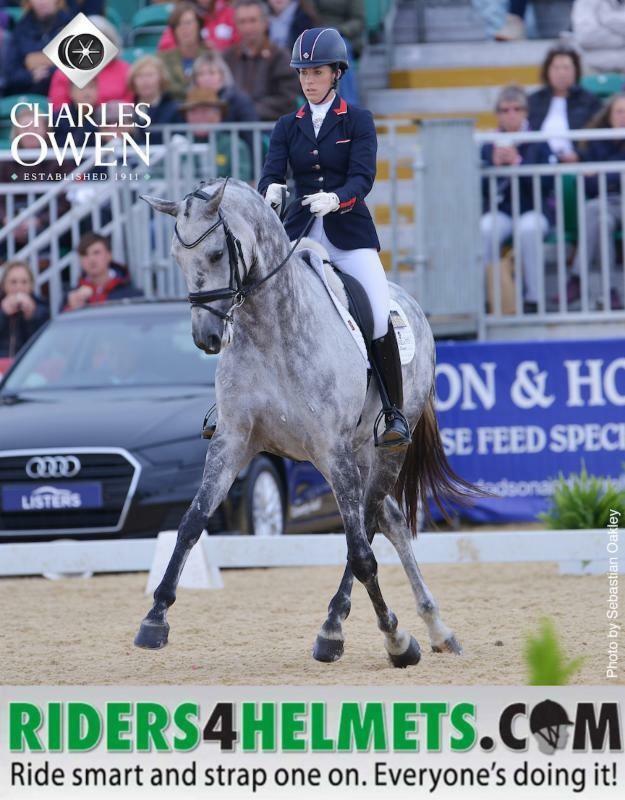 With an extensive range of helmets designed to meet all three international safety standards and offering the 4Star – the only four-standard riding helmet on the market – Charles Owen is there to keep riders safe this weekend and beyond. Charles Owen urges all retailers to participate in International Helmet Awareness Day as it is an excellent opportunity to promote rider safety. Follow Riders4Helmets’ Facebook page to receive updates on retailer information and details about the event. Retailers will need to registerwith the event in order to be recognized as an official participating retailer, and will be eligible to receive a discount on helmet orders placed with participating helmet manufacturers such as Charles Owen. Riders4Helmets hosted the first International Helmet Awareness Day in 2010 to educate equestrians on the benefits of wearing a properly fitting, secure and certified helmet. More than 300 retailers and eight helmet manufacturers participated to provide information on correct helmet fit and the importance of prioritizing safety in the saddle and to give customers the opportunity to purchase a helmet at a one-time special discount offered only on International Helmet Awareness Day. For more information on the Riders4Helmets campaign, please visit www.riders4helmets.com. You can also follow the campaign on Facebook, Instagram, and Twitter. This entry was posted in Education, News and Announcements on September 15, 2017 by ludlumfarms.